If you’re looking for a luxury vacation that includes 100 percent relaxation, a Zoetry Wellness & Spa Resort is the place to go. AMResorts has several different brands to choose from, but Zoetry is the ultimate choice for experiencing endless privileges. 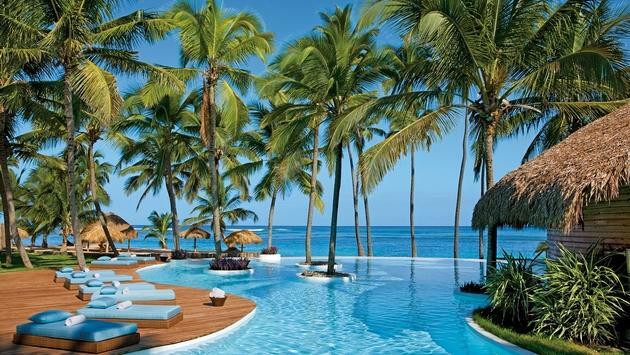 Take your pick from four boutique resorts located in Jamaica, Dominican Republic, Cancun or Riviera Maya. Each property is more beautiful than the next. Everything you could ask for and more is included with a stay in one of Zoetry’s luxury accommodations. There are no check in or check out times, so guests can fully enjoy their room until whenever they please. Maid service is included three times throughout the day, and in-suite dining is available 24/7. Upon arrival, guests will receive a bottle of tequila or rum, and they can enjoy complimentary 24-hour laundry service and a complimentary 20-minute spa experience. With the quiet atmosphere and laidback vibe, Zoetry Wellness & Spa Resorts make for the perfect place to disconnect from the stress of everyday life. A day on one of these properties will have you feeling calm and rejuvenated. Click here to learn more about the endless privileges at Zoetry Wellness & Spa Resorts.